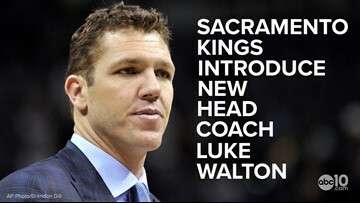 Luke Walton becomes the 10th head coach of the Sacramento Kings since they last made the playoffs in 2006. 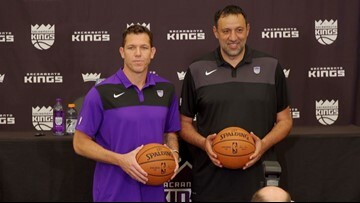 Kings’ general manager Vlade Divac introduces their new head coach Luke Walton to the local media inside the team’s practice facility on Monday. 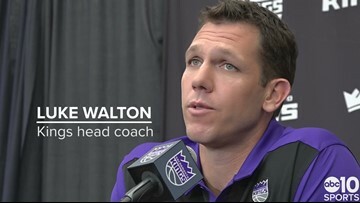 Walton talks about what makes Sacramento an appealing gig for him, stepping away from the Lakers after three seasons in Los Angeles and his coaching style. 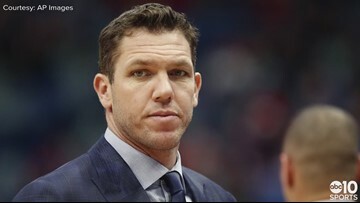 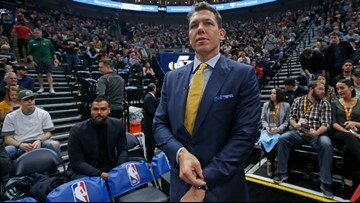 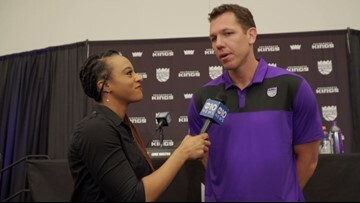 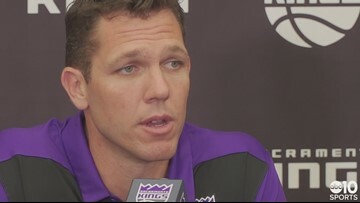 New Kings head coach Luke Walton speaks with ABC10's Lina Washington and Sean Cunningham about his desire to come to Sacramento, appealing to a Laker hating fan base, his coaching history and how he differs from his Hall-of-Fame father Bill Walton. 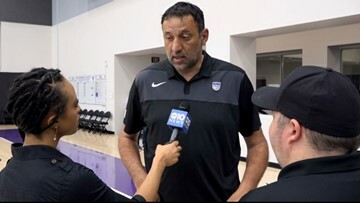 Following Monday's introductory press conference in Sacramento, Kings' general manager Vlade Divac tells ABC10's Lina Washington and Sean Cunningham why Luke Walton was his top choice to replace Dave Joerger and what is his best quality as a head coach. 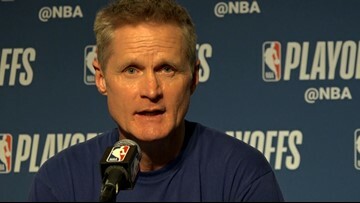 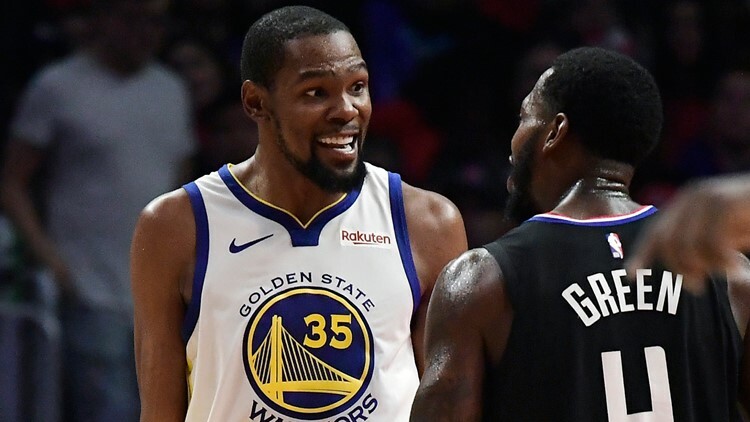 Warriors head coach Steve Kerr talks about Saturday's Game 1 playoff victory over the Los Angeles Clippers, the NBA playoff record set by Stephen Curry, the moment between Patrick Beverley and Kevin Durant that led to their ejection and the playoff debut of DeMarcus Cousins. 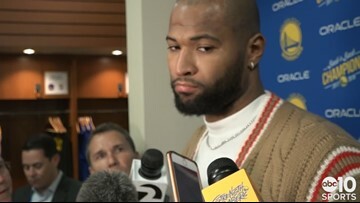 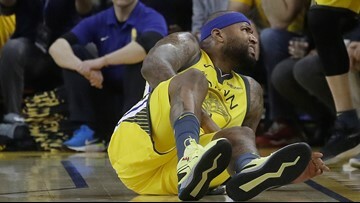 After his nine point and nine rebound performance before fouling out of Saturday's Game 1 win over the Clippers, Warriors' center DeMarcus Cousins talks about playing in the first ever playoff game in his 10th NBA season. 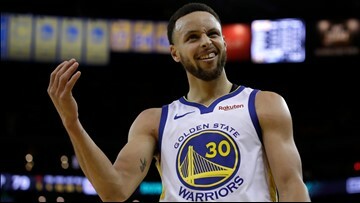 He acknowledges how everything is more magnified in the playoffs, what nerves he may have experienced and the fun atmosphere at Oracle Arena.